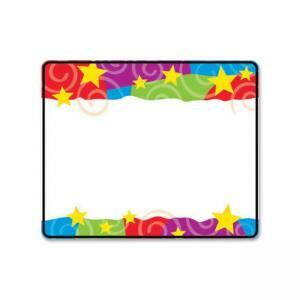 With a cheerful, fun design, self-adhesive name tags are perfect for kids. Each name tag has colorful swirls and yellow stars. Write a name on the area between the vivid borders on the top and bottom. The easy-writing finish is designed for pens or markers. Bright, friendly design is also ideal as labels for charts, folders, and storage boxes. Keep a variety on hand for open houses, science fairs, field trips, and conferences. 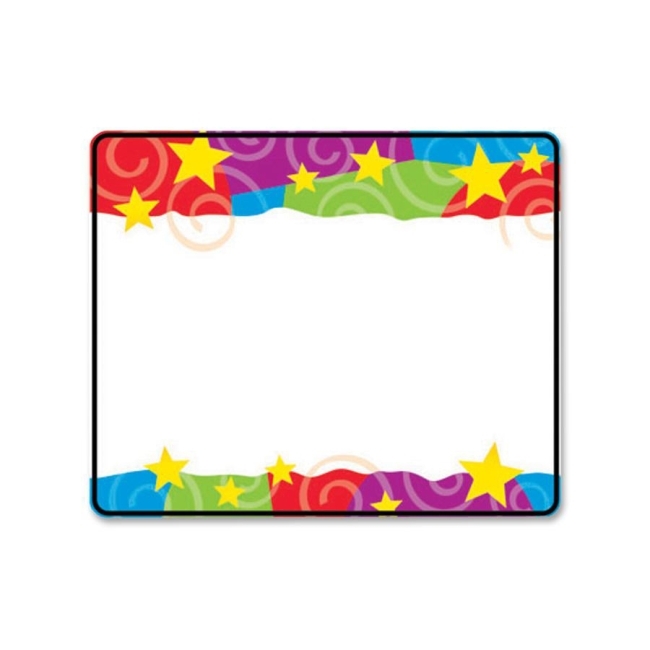 The 3" x 2-1/2" name tags are designed for students in pre-kindergarten to ninth-grade (ages 3 to 15).